Amazon’s deal of the day today is here for those of you in need of some removable storage from SanDisk. They’ve got everything from microSD cards to regular SD cards and flash drives to hard drives. 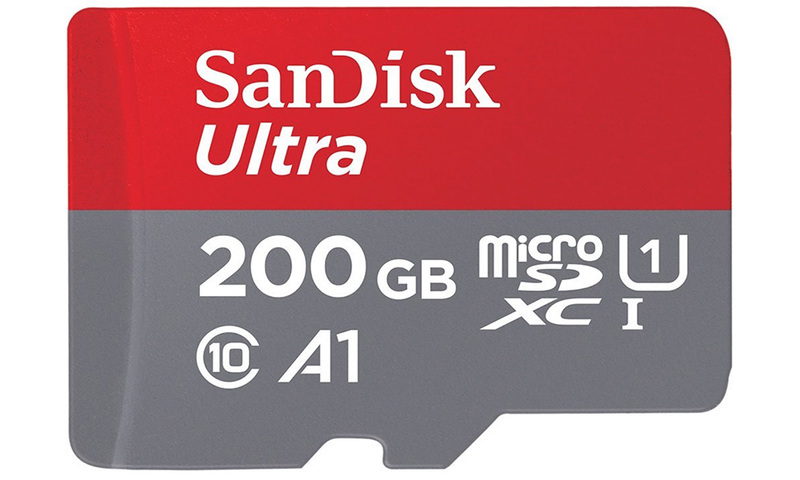 Since we talk mobile stuff, I’m just here to tell you that their SanDisk Ultra A1 microSD cards, the ones built for Android phones, are insanely cheap. Amazon has price drops on 200GB, 256GB, and 400GB cards today. The 200GB version can be had for $34.99, 256GB for $51.99, and 400GB for $99.99. As far as I can tell, those are the lowest prices yet on all of them. This is a deal of the day, so again, it’s only available today.